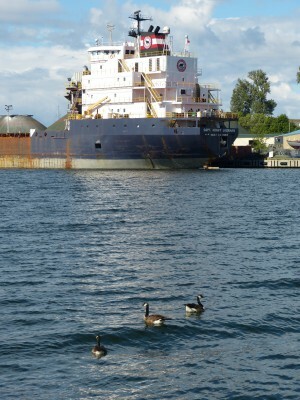 OSWEGO – Algoma Central’s Capt. Henry Jackman unloaded a six-story road salt cone in Oswego on Wednesday Aug. 12. Launched in 1981 as the Lake Wabush, Capt. 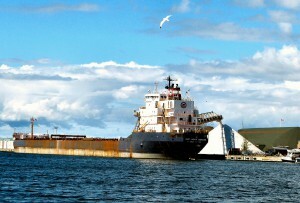 Henry Jackman was one of three vessels acquired by Algoma Central Corp., Sault Ste. Marie, Ont., from Hanna Mining on March 27, 1986. 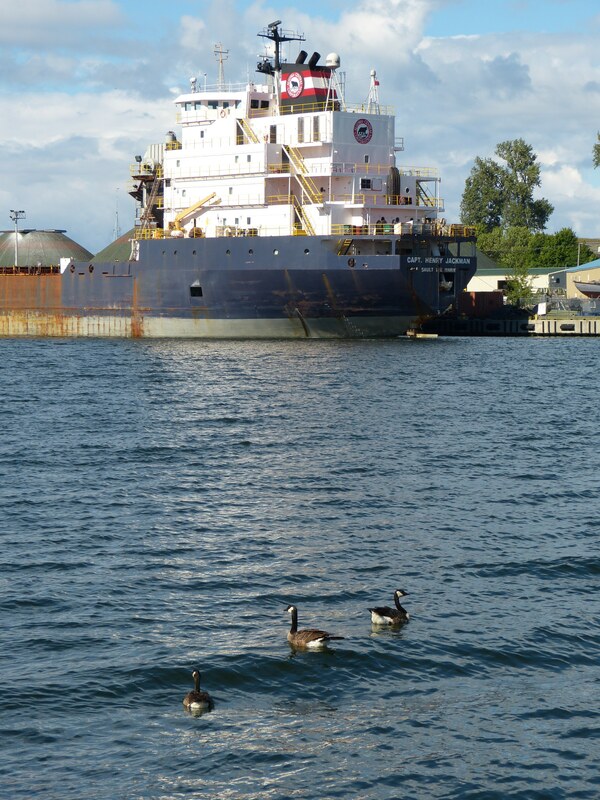 Algoma named the vessel after Captain Henry Jackman, who, with his brother, Frank, commanded and owned several Lake Ontario schooners sailing in the grain trades during the 1850-1870 time period. A series of misfortunes led to financial difficulties in the late 1870s. Capt. Jackman died December 2, 1882. The beginning of the 1990 season saw the Capt. 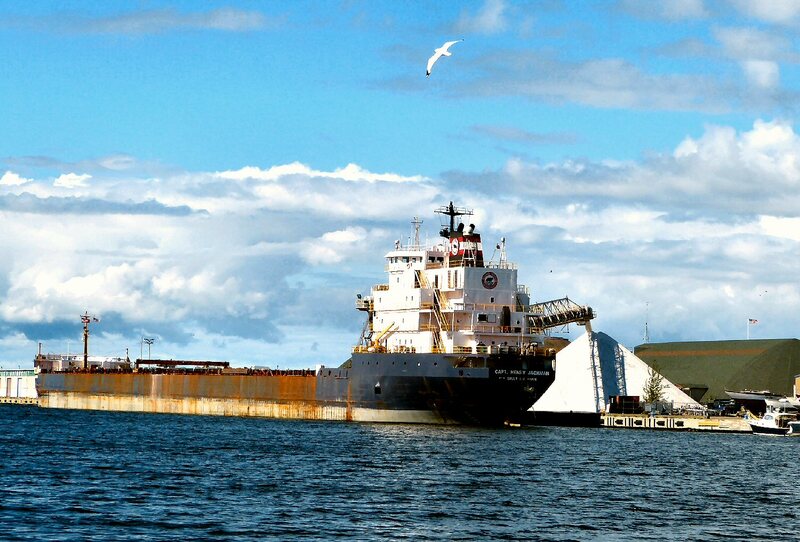 Henry Jackman sail under the management of Seaway Bulk Carriers (partnership of Algoma Central and Upper Lakes Group), now Seaway Marine Transport of St. Catherines, Ont. During the winter of 1995/96, the Capt. Henry Jackman was converted to a self-unloading bulk carrier by Port Weller Dry Docks, St. Catherines, Ont. Her self unloading equipment consists of a single belt gravity system with a loop belt elevator feeding a 260-foot stern-mounted discharge boom that can be swung 90 degrees to port or starboard and discharge at a rate of up to 5,440 tonnes per hour. The system includes mass flow basket-type unloading gates with plastic linings and vibrators throughout.